Get to know our amazing producers! 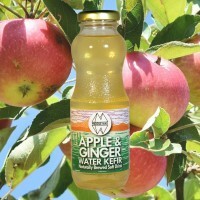 Middle Way makes award-winning soft drinks near the tranquil shores of Loch Lomond. 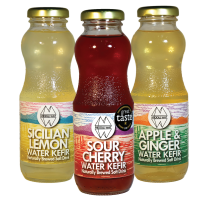 Our refreshing drinks are created by blending naturally brewed water kefir with pure fruit juices. 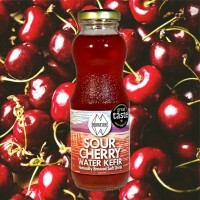 Middle Way drinks contain half the sugar of popular sodas, and are free from additives, preservatives and sweeteners. We currently have three flavours: Apple and Ginger, Cherry, and Lemon. 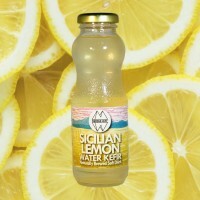 Our drinks are deliciously refreshing by themselves, and also make fantastic mixers. 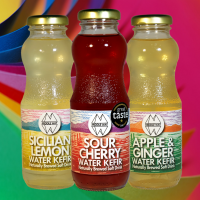 Husband and Wife team Gavin and Catriona Monson decided to start Middle Way after becoming frustrated at how few options there were for a natural lower sugar soft drink. With combined backgrounds in mechanical engineering and food science the couple converted an industrial unit near Loch Lomond into a drinks factory and have been selling their award-winning drinks since July 2018. In a world of extremes, take the Middle Way!